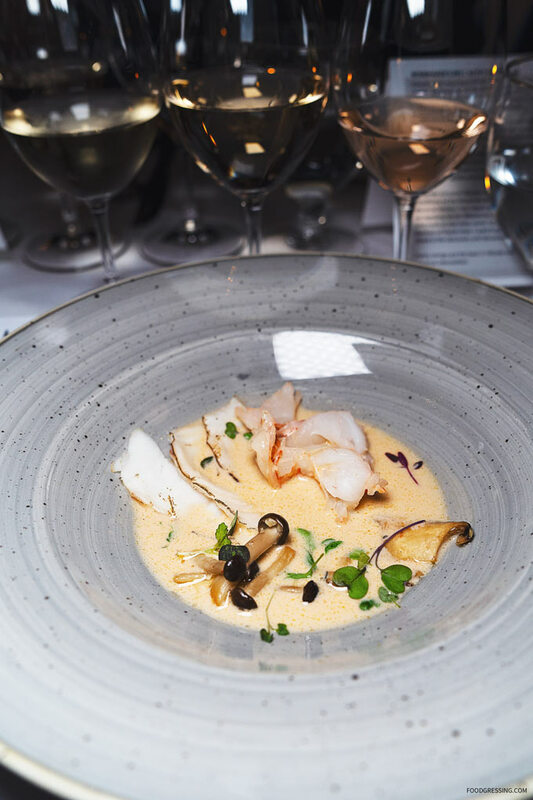 Last week, Water Street Cafe in Gastown partnered with Hillside Winery for the latest installment of their ongoing winemaker dinner series. 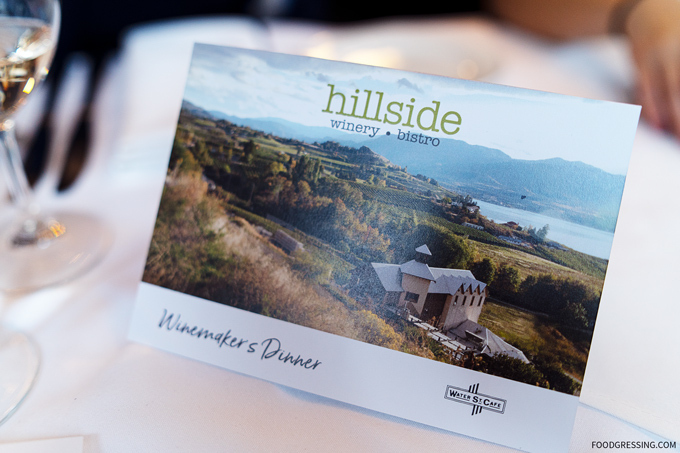 The evening was hosted by the team at Hillside Winery, paired with Water Street’s own Chef Alan Tse’s latest wine dinner menu. 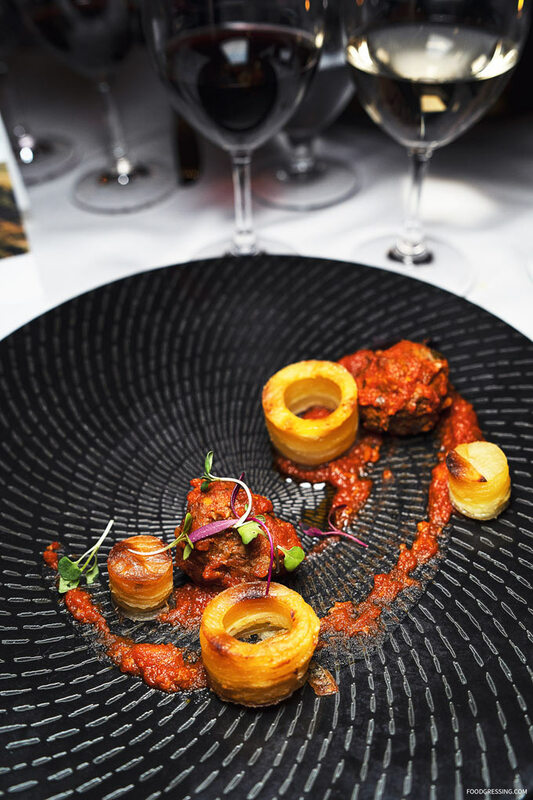 Each dish was crafted to pair perfectly with each Hillside wine selection. I attended the event as media. Here’s a look the our 5-course wine pairing menu. 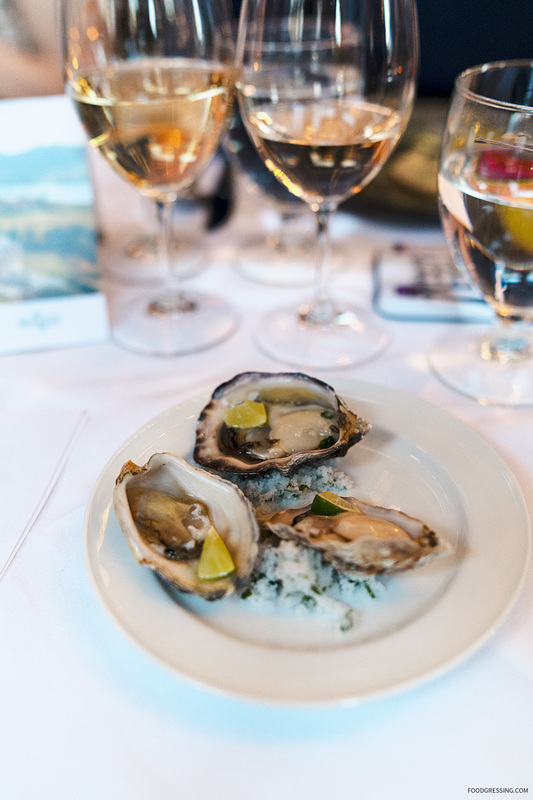 Fresh Kusshi oysters paired with Hillside Winery Reserve Pinot Gris 2017. 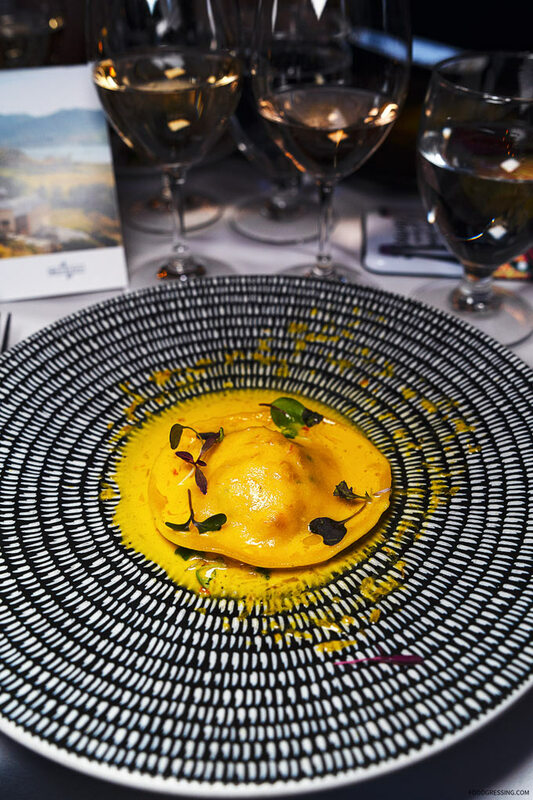 Dungeness crab stuffed house made ravioli paired with Hillside Winery Reserve Viognier 2017. Thinly sliced fresh ling cod and prawns in Thai coconut seafood broth. Paired with Hillside Winery Muscat Ottonel 2017. 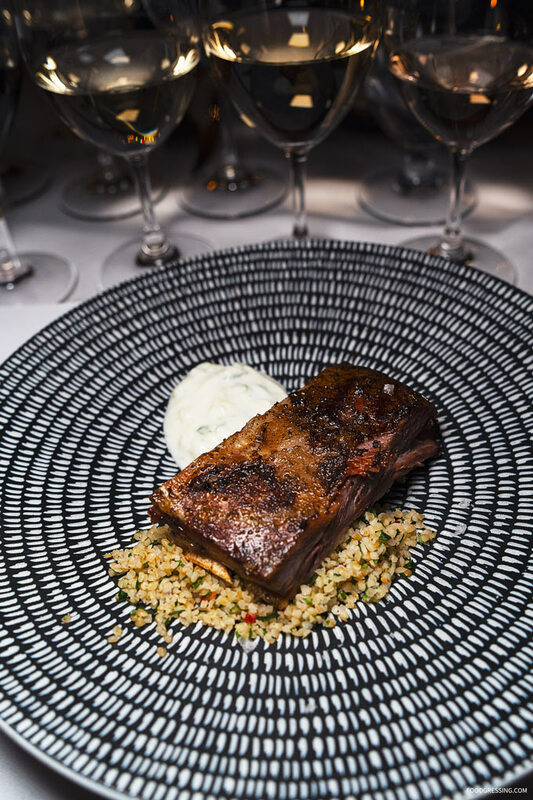 Moroccan lamb ribs, bulgur wheat tabbouleh salad, cucumber dill yogurt dip. Paired with Hillside Winery Syrah 2015. Sweet potato pave ring, beef, and veal meatballs paired with Hillside Winery Cabernet Franc 2016. 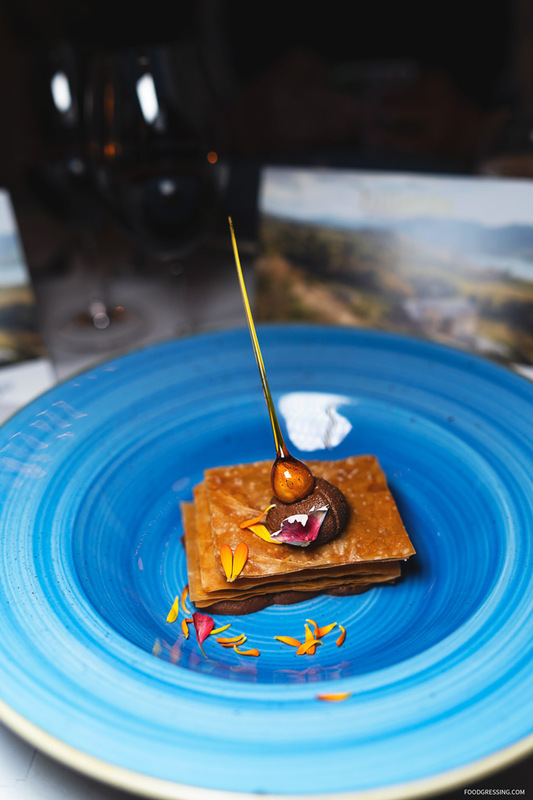 Chocolate & Hazelnut Napoleon featuring rich chocolate and hazelnut layered between crispy phyllo, hazelnut and with a sugar garnish. Paried with Hillside Winery Mosaic 2012. Visit www.waterstreetcafe.ca to find out about more upcoming winemaker dinners.